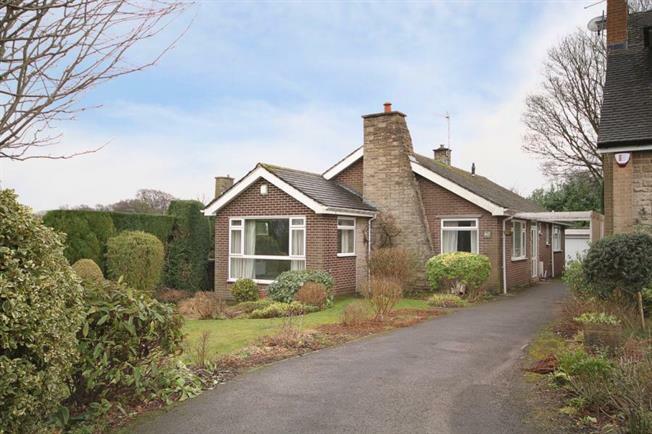 3 Bedroom Detached Bungalow For Sale in Sheffield for £385,000. A three bedroom detached bungalow occupying an end of cul de sac position in this much sought after location. The property is generally well appointed has gas central heating,double glazing and generously proportioned accommodation as follows. An Entrance Hall, Cloakroom/W.C.Storeroom,Lounge /Dining Room,Fitted Breakfast Kitchen with a range of units integrated hob,oven, extractor and dishwasher. There are three Bedrooms all with built in furniture and a Bathroom/W.C. with separate shower cubicle. Outside a driveway provides access to a Double Garage with atomatic door and there are front and rear gardens.The property is located in a much sought after position with facilities at Crosspool, Lodge Moor and Fulwood.